Be still my heart! 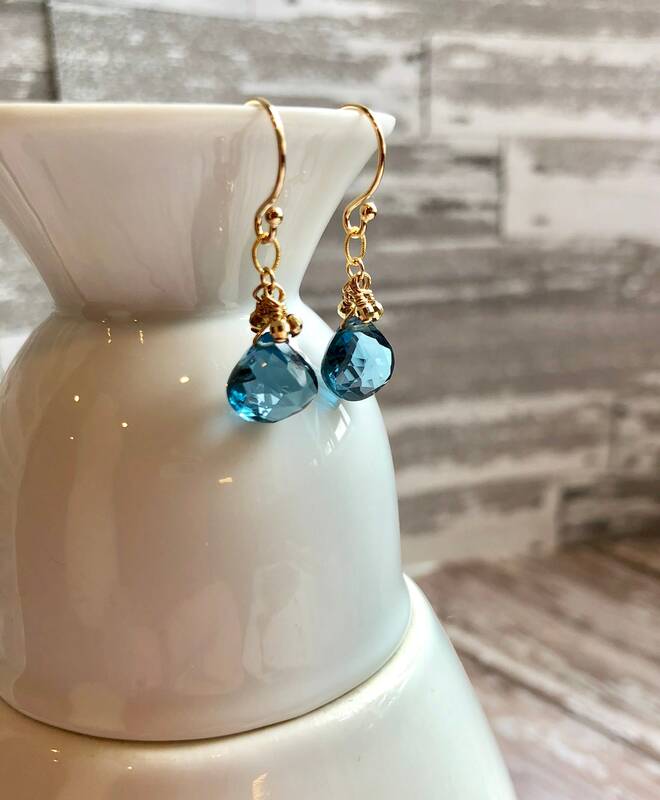 These London Blue topaz earrings are exquisite in their color and clarity! 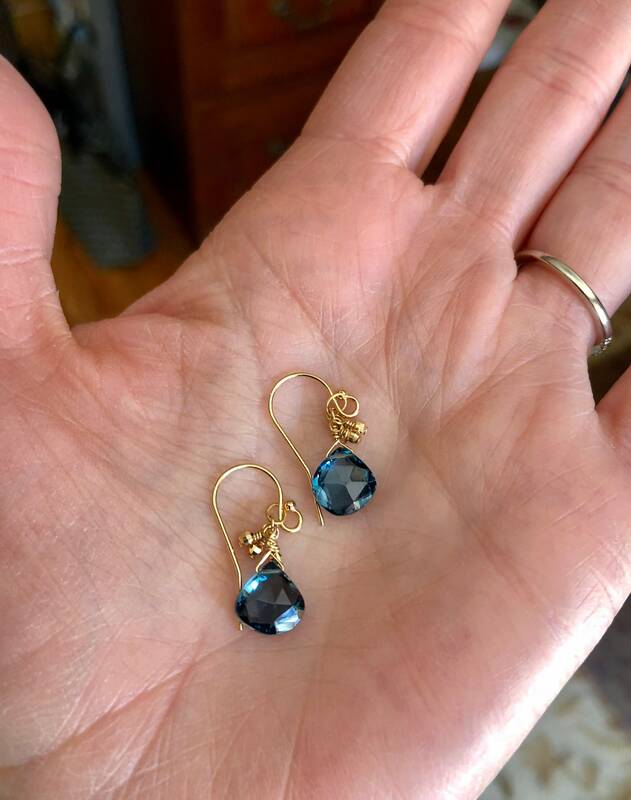 When I saw these gems, I decided they deserved to be put on 14 karat gold rather than just gold fill because they truly are remarkable little beauties. 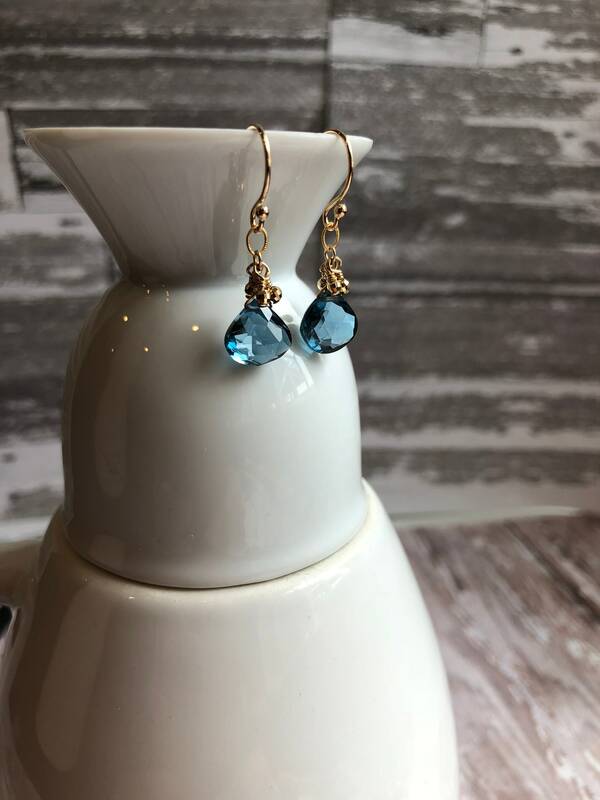 Gold brings out an unmistakable richness, and complements the unique blue color. Each gem measures approximately 8mm wide x 10 mm long. 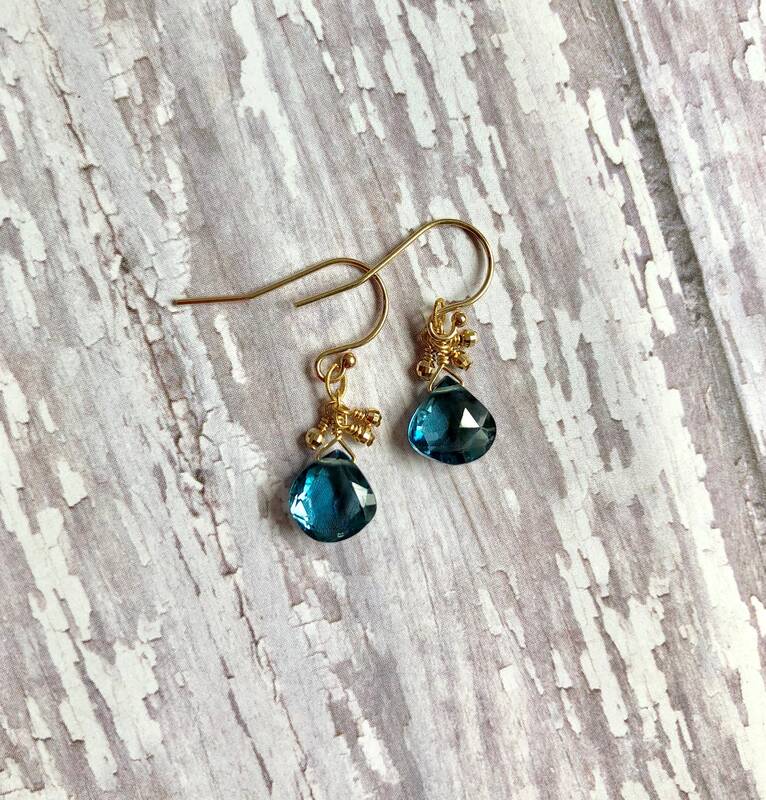 Tiny faceted solid gold beads twinkle around each stone and give the earring movement and visual interest. ---Total length of the earring is approximately 15 mm.